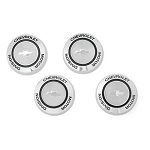 These factory fresh C3 Corvette 1968-1982 Rally Wheel Trim Rings and Center Caps are great accessories for street or show. Get the best for your Corvette and order yours today. 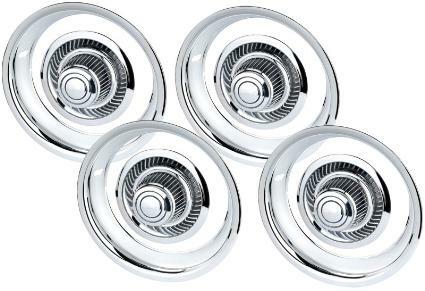 These triple chrome plated Stainless Steel "Derby" wheel centers fit OE and aftermarket Corvette Style Rally Wheels. Fits 7" wide factory and aftermarket wheels. Note: Your selection includes (4) center caps and (4) trim rings in your choice of material.